People believe that the human aura is composed of seven fields of energy that surround the physical body. These layers of energy have certain attributes, and understanding them reveals the real you. Your aura interacts and works in conjunction with the energy centers of your physical body, called chakras. It's easy to understand a human aura when you view it as your essence or spiritual energy. It's the energy that makes you who you are. Your emotions, thoughts and experiences color your aura and reflect how you feel emotionally and physically. Thoughts are also energy that you emit during the mental process, and they add color to your aura. Aura colors are the reflection of energy vibrations that you harbor and emit. In Chinese culture, this sphere of energy surrounding and emanating from you is called ch'i, the life-source energy of all living matter. 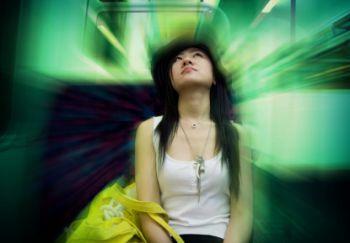 There are four well-known aura fields of energy surrounding the human body. Three other aura fields assist those four fields of energy by acting as their overseers. All seven layers of energy serve vital functions to maintain a healthy aura. These aura layers, or fields of energy, are called auric levels. Auric levels communicate information and data to the outside world, as well as to your higher soul. This is how you receive information and move it into your aura for processing and assimilating. These seven auric levels reach out beyond the physical body, sometimes as far as three feet. The aura layers encapsulate the physical body in a large egg-shaped field of energy. The archetypal aura is often referred to as the divine aura. It includes all of the energy fields of your aura and provides an energy map of your life. It details your past, present, and future. The archetypal aura is called the map of destiny or the template of your life. This matrix of energy is like a physical fingerprint. It's unique, and there's no other aura exactly like yours. A medium, intuitive or psychic can read your aura. An intuitive can 'pick up' energy patterns from you and receive information through that exchange of energy. A person who can see auras is able to interpret the colors in each field of energy. Many others can also access the matrix of information stored inside those fields in various ways. The archetypal auric level is where your God dwells inside of you, and many refer to it as the seat of the subconscious mind. Every human being has an internal map that guides you through life. The spiritual auric level maintains balance between all of the aura fields, as well as the chakras. It is a conduit for divine energy to flow into the body and maintain spiritual well-being. The mental auric field is sometimes called the casual body. It is the builder of your life experiences. This energy field is the foreman of your destiny. It helps you to internalize and grow, based on your destiny map and the experiences that plan brings to you. It's important to maintain an auric balance so that your attitude, and concepts about the world and your life, remains authentic. The emotional aura is the power behind your actions and reactions. If you feel at peace, this will resonate throughout your auric levels. If you are angry or defensive, this emotion will move through all levels of your human aura. Unconditional love is the optimum energy of this field, and it's what feeds the rest of the aura with the energy needed to maintain balance and health. Feeling blue, being green with envy, seeing red, or being in the pink are all phrases that reflect the emotional energy that colors the aura. The imaginal aura is often referred to as the astral body. This is the energy you use to manifest or alter circumstances surrounding you. Many consider this aura as the magic of the auric levels because it's where you can create whatever the soul desires. It is the mechanism for fulfilling your destiny and for interpreting the map that will guide you through life. The etheric aura field is responsible for creating and maintaining the physical body. It keeps the chakras and meridians in good operating condition so that the body thrives and remains healthy. Whenever the energy to this auric level is obstructed, the physical body reflects this as a disease or illness. The physical auric level is the three-dimensional reflection of your physical body. Any injuries, cellular patterns, or impact of emotional trauma to the body will be evident within the physical aura. As you can see, it is vital to your overall health and success in fulfilling your life purpose to keep your aura in balance. There are many things you can do to assure good aura health, such as meditation, spiritual study, physical workout, and mental exercise. The human aura is a complex and delicate balancing act, but one you can master with conscious effort.